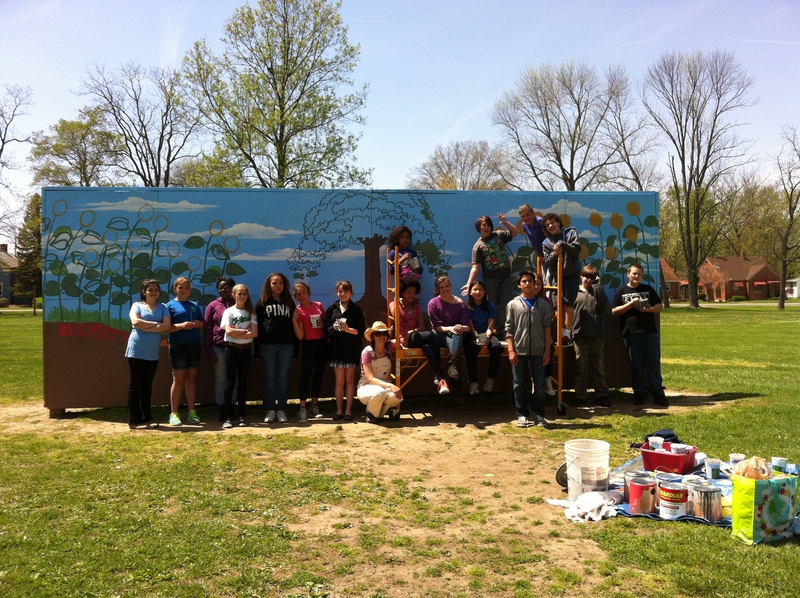 Students are continuing to make excellent progress on the mural! 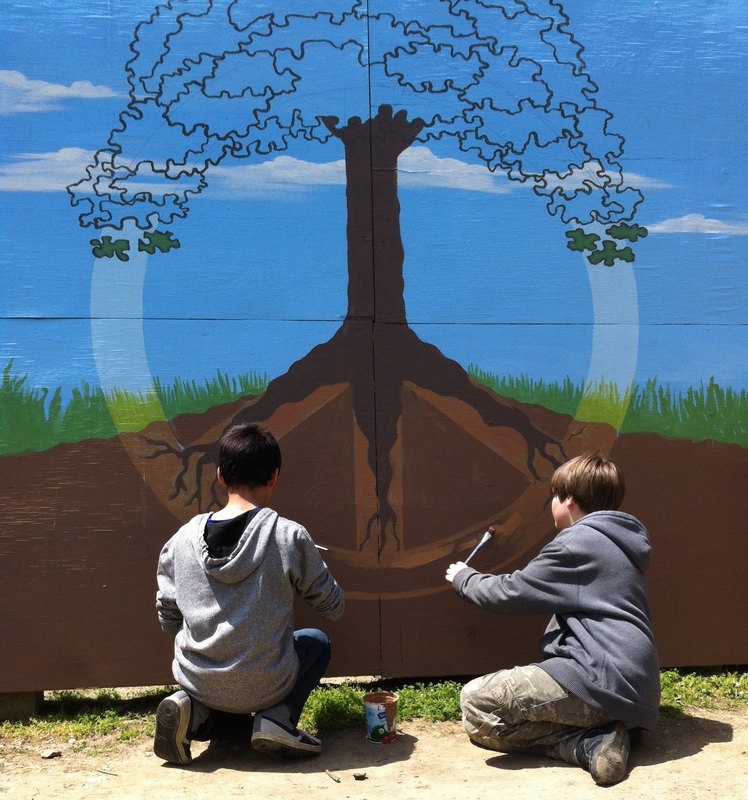 With scaffolding in place, sixth graders are able to reach the top third of the mural to paint details such as the sunflowers and leaves on the tree. Visiting Artist Tricia Tallman continues to guide students in the process as well as working in between student sessions and on the weekends to keep the mural progressing consistently. 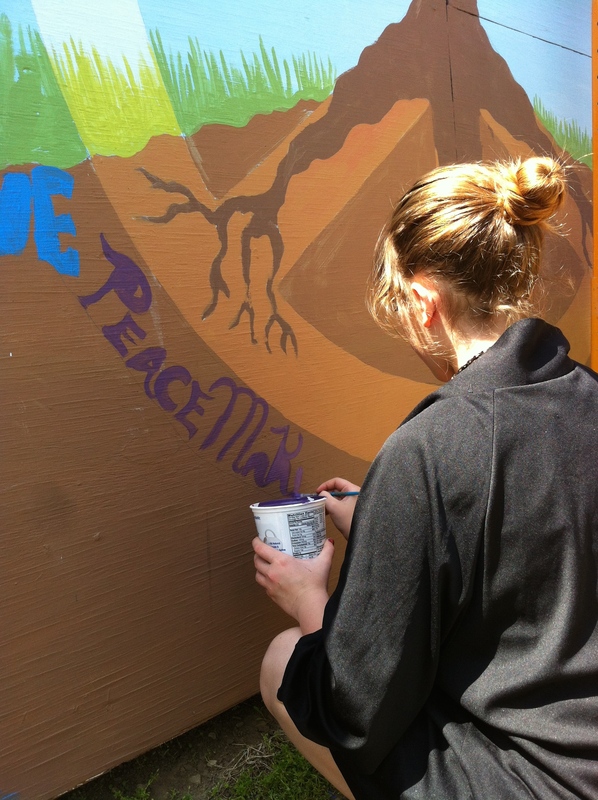 Students are enjoying the collaborative experience of contributing something small to a larger art piece that they believe will have an impact on their school and community, spreading a message of peace. Individual styles are evident in the font choices that students make as they write in pencil first then paint words of peace in cursive, block letters, and in rainbow colors. Keep up the beautiful work! We’ll continue to share the progress as the mural grows toward completion. 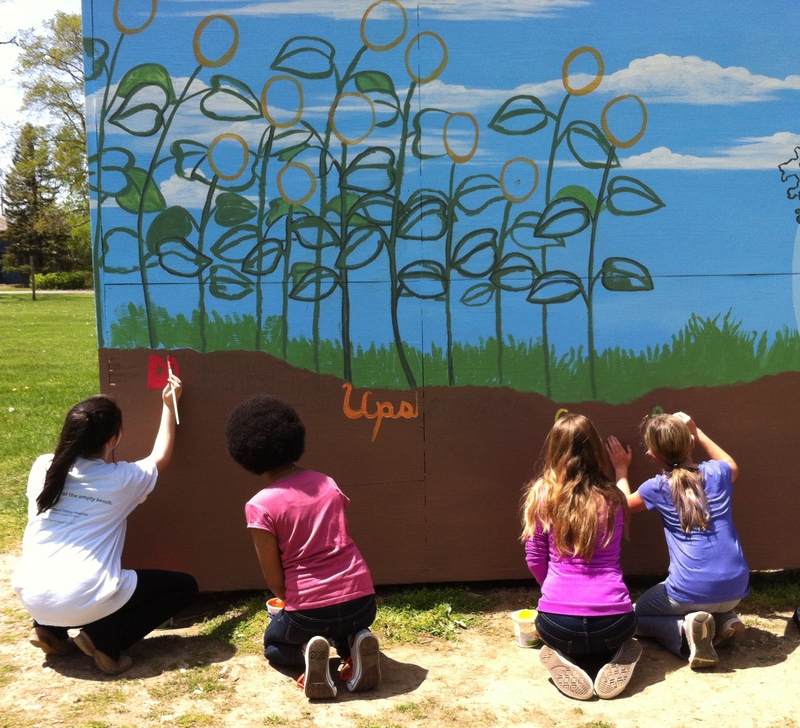 In an interview with sixth grade students Lucy and Sumayah, they agreed that the Grow Peace Mural is a legacy gift from the sixth graders to the rest of the students at Mills Lawn. Listen to their thoughts on the mural below.